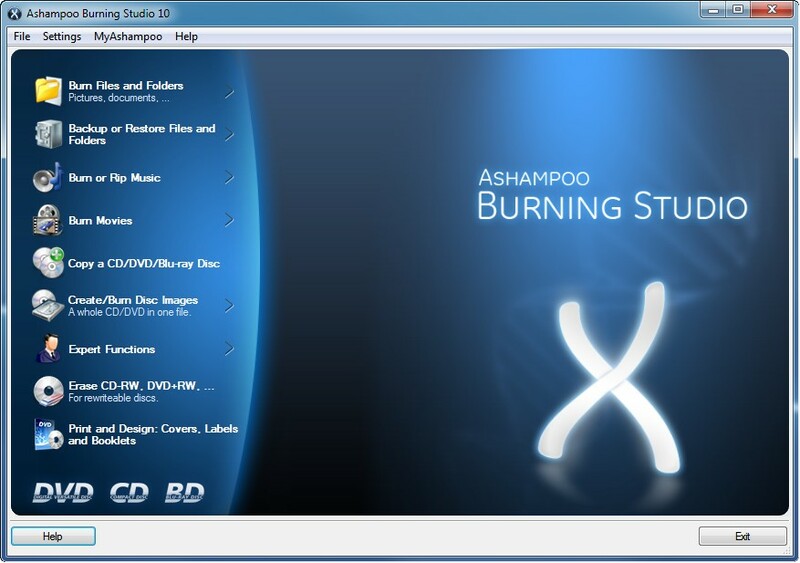 Ashampoo Burning Studio 11 is the all-round tool for all CD, DVD and Blu-ray disc burning tasks. The main focus of this faster, more powerful premium version is even better authoring capabilities for building video and audio discs using the latest formats. HD and Full HD video are now fully supported for Blu-ray discs, and all the encoding is handled by Ashampoo Burning Studio 10. ...... Each menu page can use a different theme and background music. The new Autoplay Editor enables the user to build data discs with interactive, multi-page menus that start automatically. The menus for example include links to files or web pages. It is also possible to create auto-starting discs without menus. Audio files and audio CDs are played directly from within Ashampoo Burning Studio 11. This is very useful when building audio discs, in order to check tracks quickly without switching programs. The audio player has a graphical display with all the standard player controls. Make great-looking screenshots, program demos and videos fast. Qweas is providing links to Ashampoo Burning Studio 11.0.2 as a courtesy, and makes no representations regarding Ashampoo Burning Studio or any other applications or any information related thereto. Any questions, complaints or claims regarding this application Ashampoo Burning Studio 11.0.2 must be directed to the appropriate software vendor. You may click the publisher link of Ashampoo Burning Studio on the top of this page to get more details about the vendor.